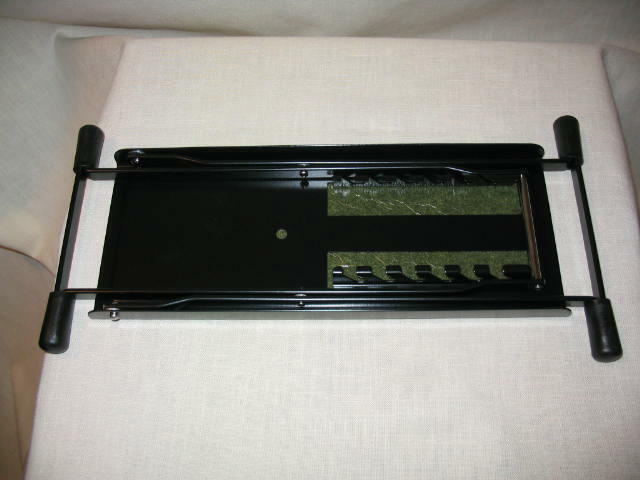 Black 6 position folding metal footrest with black rubber top. 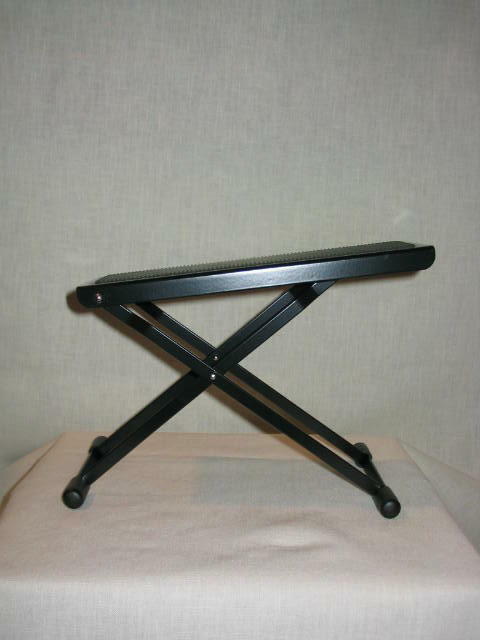 Very sturdy, looks great on stage. Made in Germany. Folds flat.